Ridley Fox and Nita Parris are agents of the CIA. Interestingly neither are Americans by birth. Fox was a citizen of Canada while Parris originates from Barbados. Fox was a soldier in Canada's Joint Task Force Two (JTF2), that nations equivalent of America's SEALS. He had been happy there and even happier with his engagement to Jessica. When she was killed, he nearly lost it completely. Drinking, fighting, not caring about anything except a desire to get even or get dead. After a particularly nasty altercation, he was likely headed to prison when General Downing from the CIA showed up with an offer. Work for him and the Agency and get a chance to strike back at the group that ordered the attack that took her life. Fox never had a moment of hesitation. Parris is a black woman who, even after seven years had passed since she graduated Princeton, could still use the talent that made her a member of that university's track team. She did not consider herself fast so much as she thought everyone else was very slow. But running was not her only asset - her brain was exceptionally smart and she had earned a doctorate in biochemistry. The CIA leaped at the chance to recruit her. Parris "never knew her parents. Her mother had passed away a few days after she was born, and her father was a ghost. Aunt Pauline, with the exception of a few other aunts, uncles, and cousins who lived in Barbados and England, was the only family that she knew." Being alone came in handy when it was necessary to go undercover or disappear for long periods on a mission. No one to miss her meant no one to lie to. As the series begins, the two are not teammates - they sort of knew each other before but that did not work out so well. That would change soon, though, as both were after the same group just coming about it from different directions. When they met, it was hardly a match made in heaven but survival is powerful motive for cooperation. Partners is a loose term with these two, however, as they still operate on their own as well as together. Luckily for each of them, they can go it alone or play nice with others. Ridley Fox is on the hunt for the weapons dealers who killed his fiancée but a tip turns out to be a trap and he is captured. 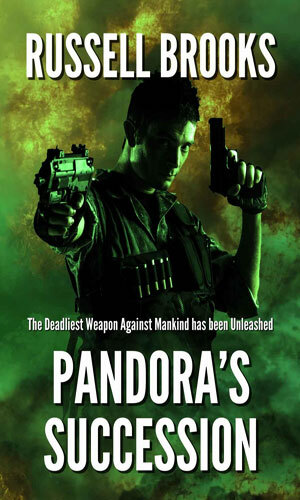 Escaping, he learns the group has acquired a deadly microbe called Pandora that may have destroyed civilizations centuries ago and might again. Two of these stories deal with Ridley Fox and the third is unrelated to the series. Parris does not make an appearance. Ridley Fox and Nita Parris as handed the mission to find who is behind the attack on two American embassies in nother Africa. 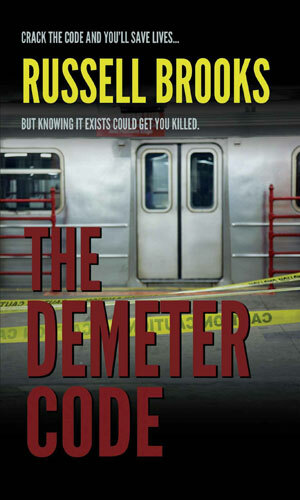 The murder of their best clue makes them believe there is something even greater about to go bad. First adventure in the Unsavory Tastes collection. An assassin working with the weapons consortium, Arms of Areas, comes up against Ridley Fox, another operative who knows how to take out a target. Second story in the Unsavory Tastes collection. This is not a Fox & Parris tale but rather about a critic and a chef and how they had different tastes. Third story in the Unsavory Tastes collection. Ridley Fox and two associates take the role of health inspectors to get the goods on the heir to a Russian crime boss with ties to Arms of Ares. I work with a delightful and highly intelligent woman from Barbados and when I read the first book in this series, I needed the term for the nationality ("Barbadian"). I looked it up but then asked her if that was correct. She said it was but also said they more commonly used "Bajun". Hey, I learned something! Two somethings, as a matter of fact. Something else I learned from reading this series is that I got to like both main characters and would have been pleased if either was a solo operative and was pleased when they worked together. That is a good fictional partnership - no hero with a second banana but two stars working together. Fox is a dive-into-action sort of guy, letting the chips fly and lie where they may confident that he can overcome whatever obstacle is presented. Parris is a lot more intelligent and thinks things through a lot more but since no plan survives the first encounter with the enemy, her intelligence comes in handy with devising a Plan B really fast. She also can kick some behind when she has to and Fox, for all his apparent bull-in-china-shop appearance is no dummy. It has been some time since the second book came out. I do not know if the author intends any more but if he does, I will read it and likely enjoy it. Kudos to the writer.